Penten has been named as the 2018 Australian Business of the Year at the Telstra Business Awards. 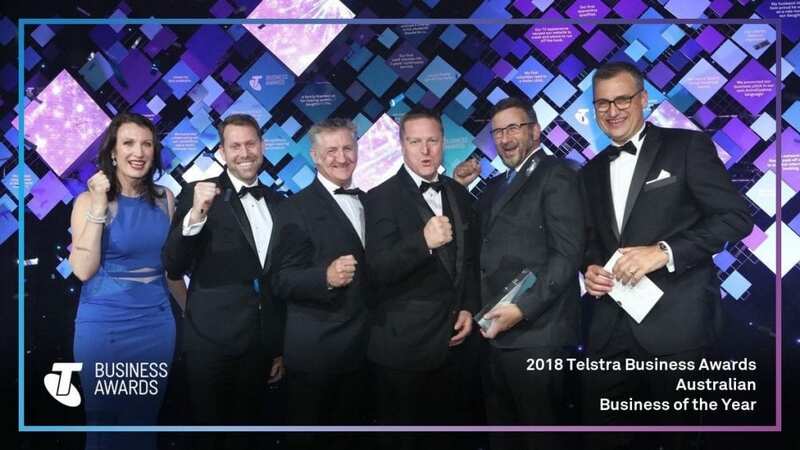 In Melbourne last night, the team at cyber security innovator Penten was crowned 2018 Australian Business of the Year at the Telstra Business Awards. Penten was formed only 3 years ago with a simple vision to solve some the hardest cyber security problems faced by Australia and it allies. From 4 then to a team of over 50 today, Penten has evolved as one of Australia’s emerging cyber security growth storys helped by AustCyber, Australia’s Cyber Security Growth Network. Penten’s AltoCrypt family of secure mobility solutions are enabling mobile secure access to classified information for government and Penten employs machine learning to create realistic decoys to detect and track sophisticated cyber adversaries.